AndroidPIT has launched a new deals store to bring you exclusive deals on Android gadgets, software, e-learning and more, plus some awesome Android giveaways. To kick things off, we're offering you a 10 percent off coupon code for this first week only, and the chance to win a next-gen flagship! In our choose your own flagship giveaway, we're offering you the chance to win a brand new Android phone, just by signing up to our page (it's completely free!). Which flagship? You can choose between an LG G Flex 2, a Galaxy S6 or a HTC One (M9). If that's not enough for you, head to our AndroidPIT deals page and use the code ANDPIT10 at the checkout to get 10 percent off whatever items you want. The code expires 02.18.2014 at 11:59 PDT, so best act fast. 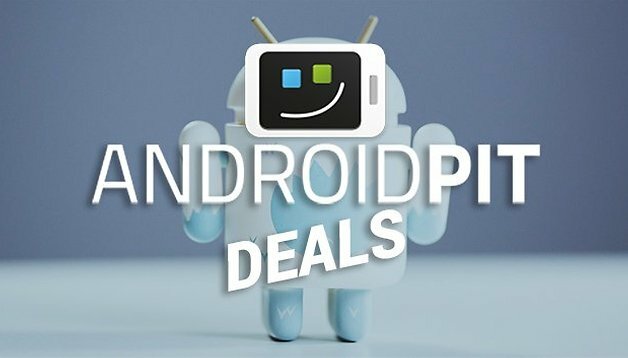 We'll be highlighting a few great deals for you from time to time, but you can also go to the "Deals" tab (which will appear at the top of the homepage in the coming days) for access whenever you want, or go straight to deals.androidpit.com. We want to hear from you guys too! Tell us what products and deals you're most interested in receiving by hitting us up in the comments below with any suggestions and what you want to see grace the AndroidPIT store. Wait do I have to sign in to this page or the deals page? So we get entered into the draw even though we've been here for ages?